Nigeria’s captain, John Mikel Obi on Tuesday revealed he knew of his father’s kidnap hours before the Super Eagles played Argentina at the World Cup. 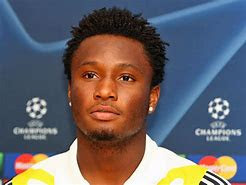 Mikel received the shocking news as he travelled on the team bus to the stadium in St Petersburg last Tuesday. A family member called him and told him that he had to call the kidnappers on a designated number. When Mikel did so, he was ordered to pay a ransom. Mikel has told Guardian UK that he could not confide in anyone at the Nigerian Football Federation – partly because he did not want to be a distraction before the game – and how he asked himself whether he had the strength to play. Pa Michael Obi was abducted as he travelled to a funeral along the Makurdi-Enugu expressway from Jos. Mikel tried to put the trauma to one side and he played the 90 minutes against Argentina. Nigeria lost 1-2 to a late Marcus Rojo goal to exit the tournament.